If you plan to attend, buy your tickets soon, as the events are being sold out as we speak – about forty as this being typed. 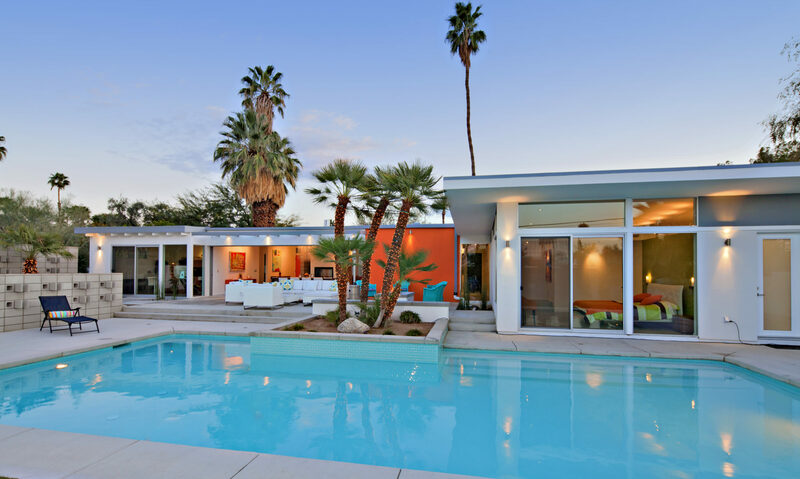 Tickets remain for the popular Frey House II tours that are about half sold out and there is one remaining Modernism Week Signature Home tour. There are a number of theme Parties left, which may be a good place to start, or with Neighborhood Home Tours where new neighborhoods are to be seen in Palm Springs, Palm Desert, Rancho Mirage and Indian Wells. More exclusive home tours may include a reception: Abernathy Residence, Raymond Lowry House, Smoke Tree Ranch, Frank Sinatra Estate, and The Loewe Estate. Be sure to check out the Lectures, thirty-nine alone at the Annenberg Theater, some by famous names, on topics ranging from architects to architecture, art, fashion, design and even Cuba. All look interesting and some are very unique. There are also daily lectures at the MW Camp. Some you will not want to miss. Check out unique events such as an evening at Hotel Lautner, a retro Pinball Tournament and Student Modernism Projects, which is free, and many more. If you plan to spend a day or more at MW, you should spend a few hours digging into the Whole MW Program. There is way too much for any one person to see. If you use don’t mind experimenting, and understand what this is, we have created a Calendar File that will place MW events on your personal calendar. It includes only those events not fully booked at it’s creation. Previous PostPrevious The Architectural and Design Center of the Palm Springs Art Museum just celebrated its first anniversary.